"Because I want to be a part of positive change for the world and I can’t think of easier way to do so than through my art and passion." Rahman "Rock" Harper is the culinary instructor at DC Central Kitchen, a community kitchen that works to reduce hunger with recycled food and meal distribution programs, and trains unemployed adults for culinary careers. 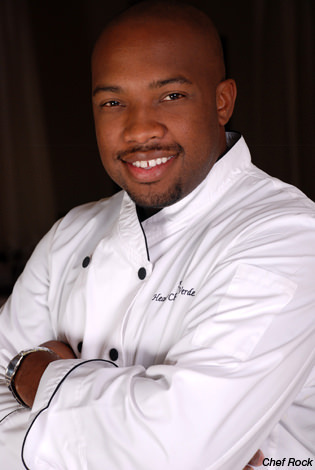 Rock is part of World Central Kitchen's Chef Network and is a member of the organization's Committed Crew helping communities experiencing chronic hunger. He is a Superchef Against Superbugs and participated in a Lobby Day with other chefs seeking to reduce antibiotic use in our food system.